Technology is very important in the health evolution, since it has helped to ensure the effectiveness and speed of its treatments. The dental TAC is used frequently, since from this we can obtain a very accurate diagnosis of the oral situation of the patient, and from this being able to plan the most personified treatment. The CAT scan is a machine that uses X-rays to take 3D images of the entire patient’s mouth, both the teeth and the upper and lower jaws. The dentists use the CAT when they want to do a complete oral examination, because it gives the possibility of having images of the dental and bone structures. This information that is provided to us, is so precise that it allows the specialist to plan the treatment in the most appropriate and personified way. The dental implant: in the case of implants, the TAC helps a lot in that the specialist knows the exact position where to place the implant and how is the state of the root of the teeth. Teeth included: Serves to be able to program any type of orthodontics or tooth extraction. 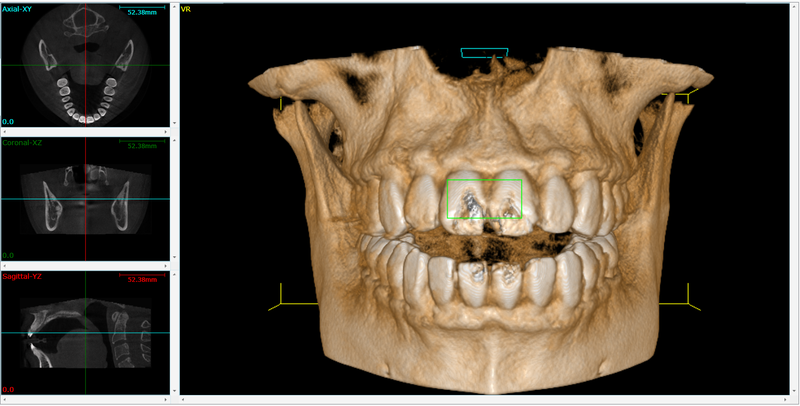 Bone regeneration: as we already know the CT gives us all kinds of information about the oral status of the patient, so we can know if this intervention is possible or not, and to find another treatment to be able to do it in the future. The TAC is a test that should always be performed under the supervision of a professional, the patient should only follow the indications that are marked.